You can refresh yourself with non-circulating (kakenagashi) hot spring, which you cannot enjoy at any other facilities around the station. Want to relieve the fatigue from your business trip? 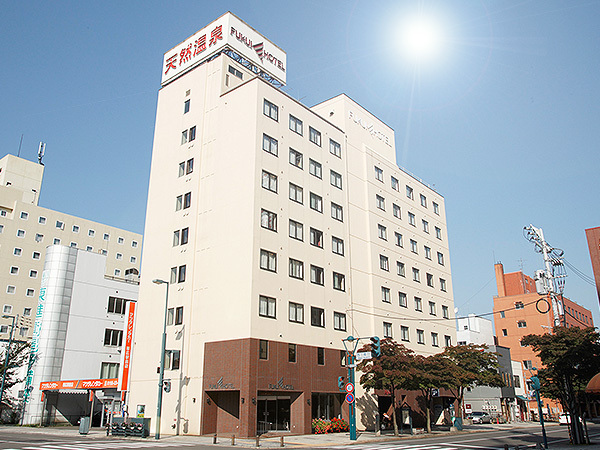 This is the only hotel around Obihiro Station that has a natural hot spring source. Great hotel to choose for a long stay. 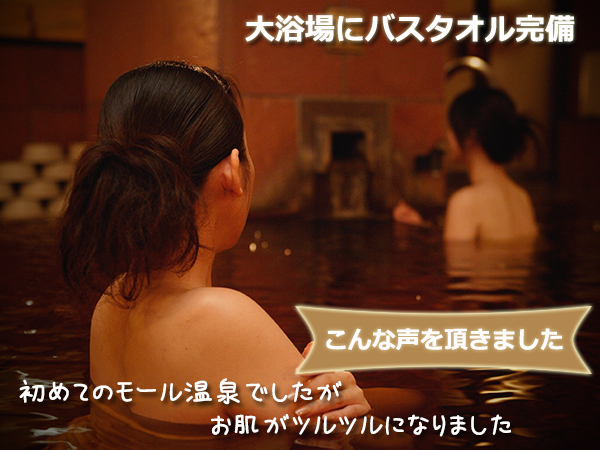 〇Moor Hot Spring, Hokkaido’s Heritage! Healthy Plant-Derived Hot Spring. 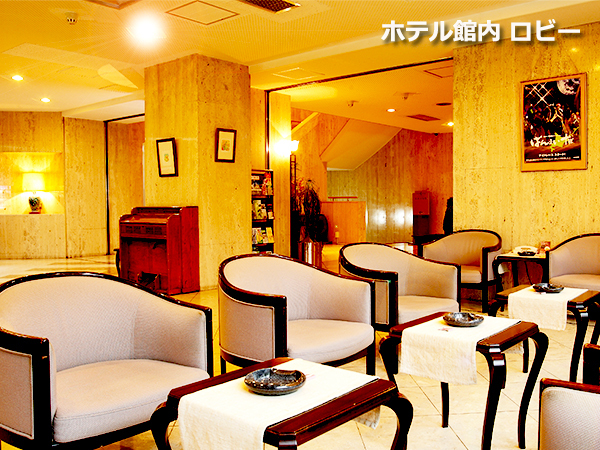 〇This is the only hotel around Obihiro Station that has a natural hot spring source. 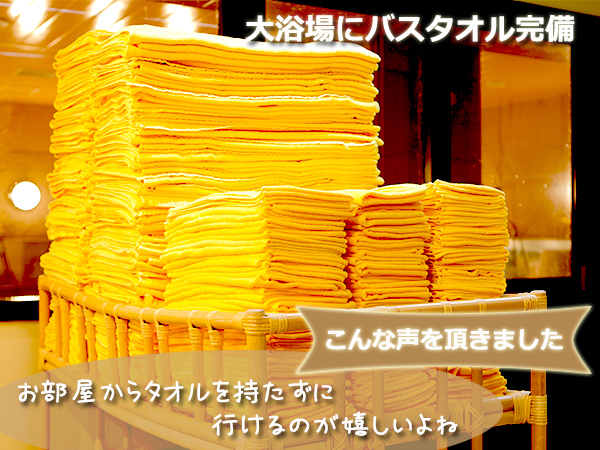 〇Bath towels Available at the Bath Room. 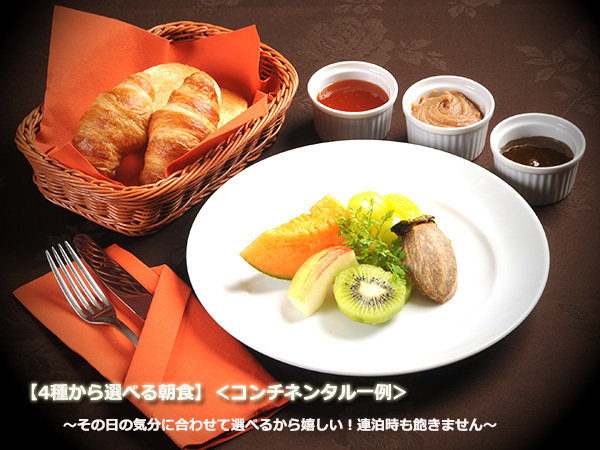 〇You can choose from 4 styles of breakfast. 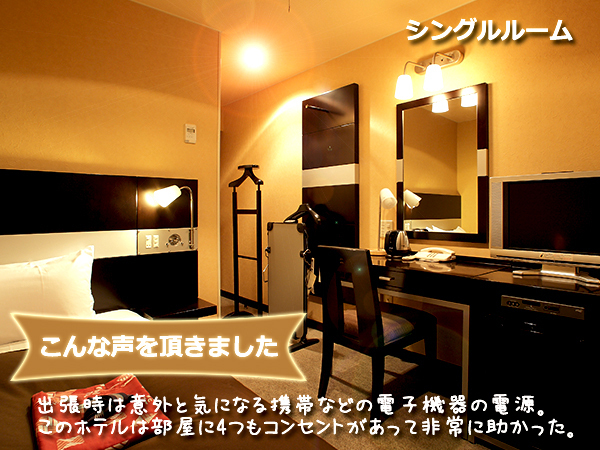 〇More than 4 Power Outlets in Each Room. 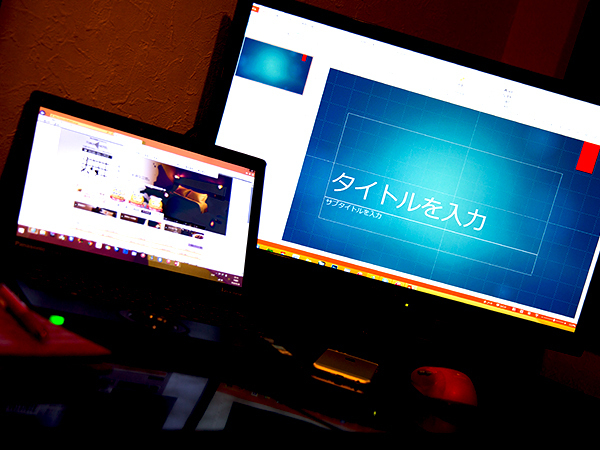 〇Wireless and Cable LAN Indispensable for Business Trip. 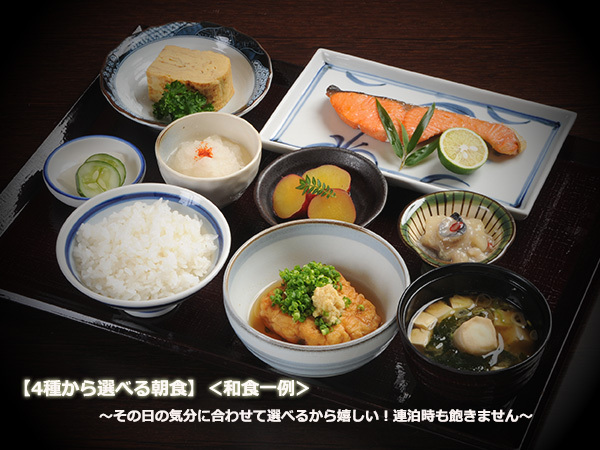 You can choose from 4 styles of breakfast and refresh yourself with non-circulating (kakenagashi) hot spring, which you cannot enjoy at any other facilities around the station. 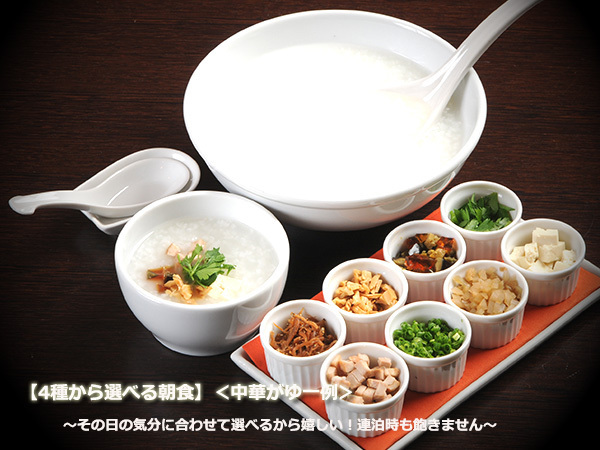 The plan comes with a breakfast in 4 styles to choose from; Japanese, Western, Chinese and Continental. 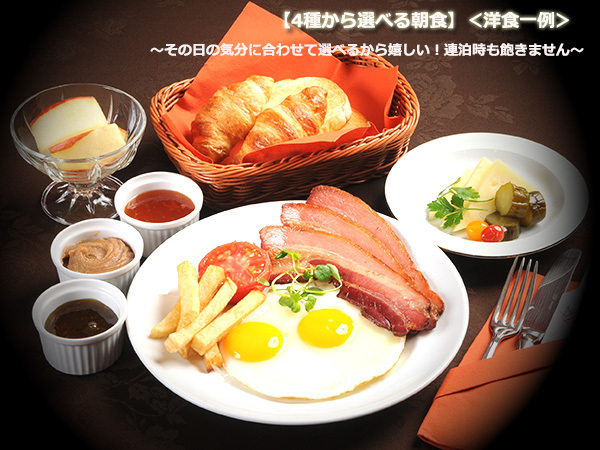 Want the best possible quality for breakfast? Then this the perfect place for you. Moor Hot Spring, Hokkaido’s Heritage! Healthy Plant-Derived Hot Spring.